In honor of the new Outlander series on Starz, each week I am going to dye a color that popped out at me from the episode. I will be happy to dye these on any of my bases for you and in any quantity, so feel free to ask. For the second episode of Outlander, I chose the different shades of green in the Scottish Highlands. 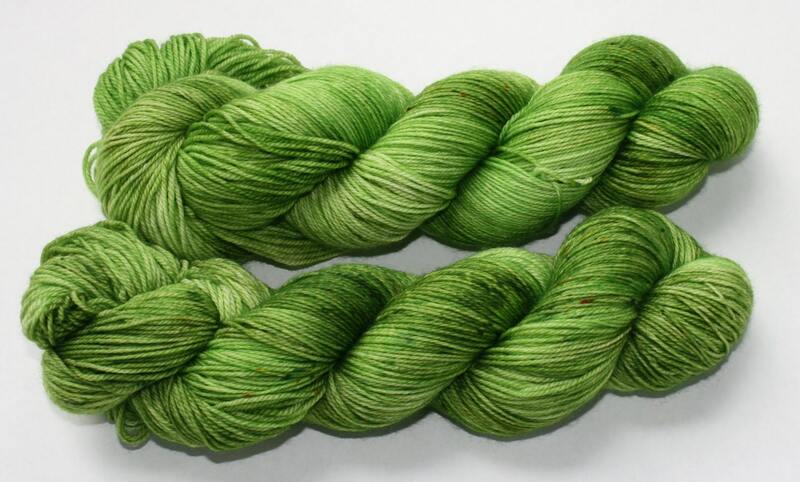 This hand dyed yarn is in a beautiful tonal green. It can be used for socks, shawls, toys, or whatever you can think up.